Not all of our roof conversions are simple flat to pitch processes. 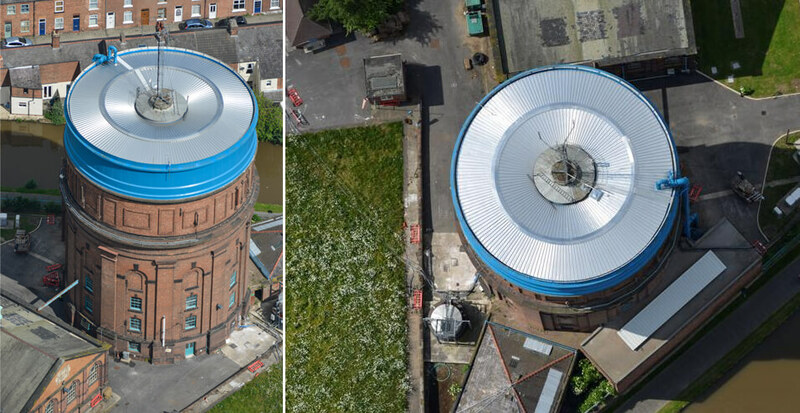 When we were approached by Alpha Roofing Systems of Astley to design a lightweight steel roof structure for the historical Boughton water tower, we relished the opportunity to get involved on such an unusual project. 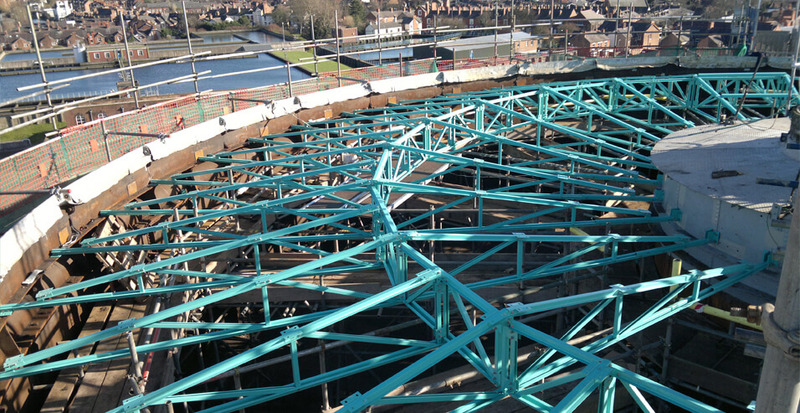 Designing the right roof refurbishment solution was a real challenge, as the building was approx 100 years old and had moved and settled over time – it was 30m high, circular and had to contain water suitable for drinking. 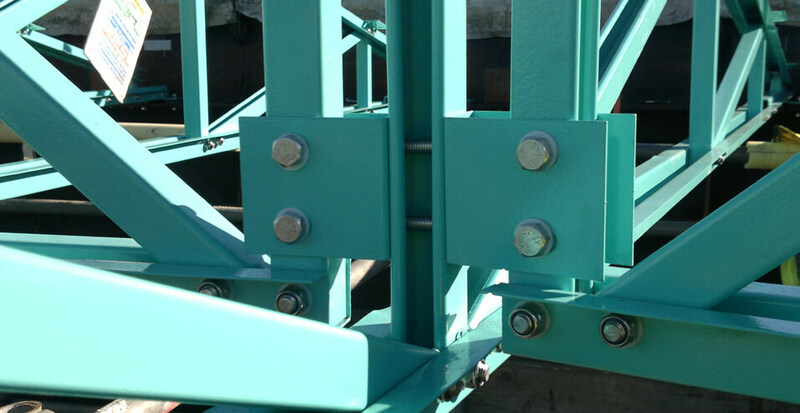 After a complex design and development stage, the entire structure had to be coated in a DWI approved anti-corrosion product and then assembled into our clear span trusses in our factory. 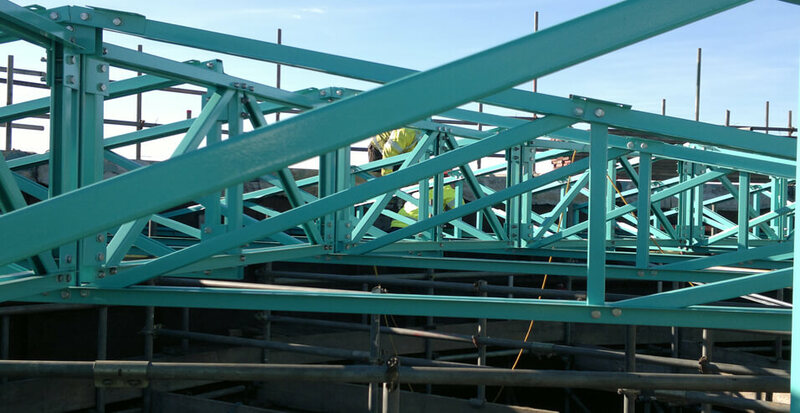 We worked closely with Alpha throughout the progression of the project, with extra consideration needed regarding lifting the material up to the roof. We designed the structure in such a way that only minimal time was required for the installation of trusses on the roof. When the day came to fit everything into place, Alpha got everything up on the roof safely and without hitch (no mean feat when juggling large numbers of lifts to this height!) and they were pleased with the speed in which the trusses went into place. This was one of Dibsas most challenging projects from a design point of view but both our team and our client were very proud of the end result.